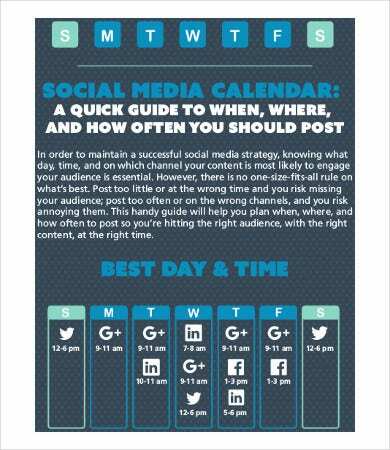 A good social media calendar is needed for brands to stay connected with their audience. This type of promotion also enables brands to resonate with their customers’ experiences and engage them subconsciously to purchase their products or avail of their service. Most products and services are sold online, and in fact, e-commerce statistics state that 41 percent of Internet users buy online. The top countries that are into online shopping are China, UK, US, Brazil, and India. Most of them shop online because of the strong influence of social media posts. 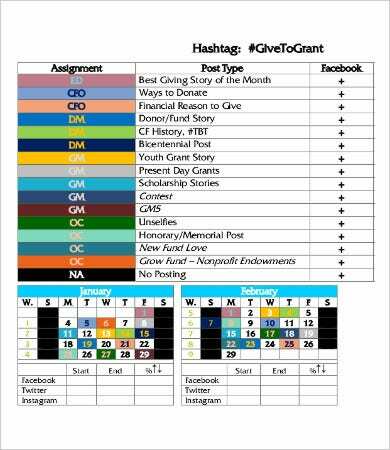 Our social media calendar template can be used serve this purpose. 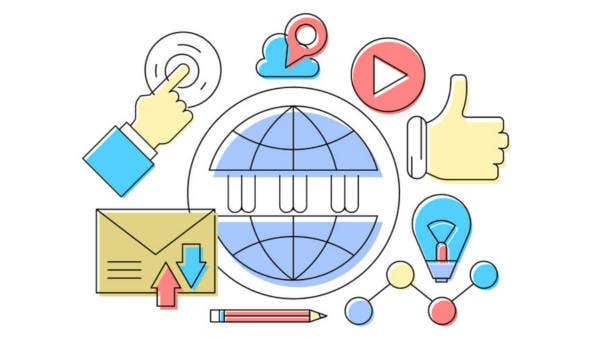 A social content calendar helps ease out confusion and keep your readers well informed of your products and services or simply keep them updated on new trends your brand is adapting. 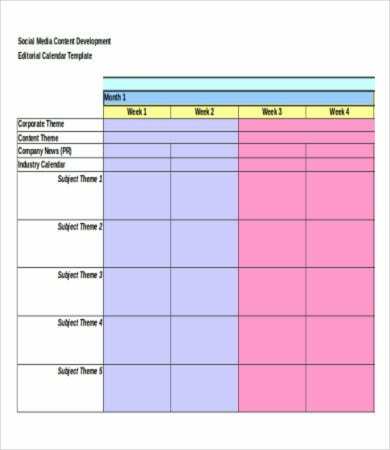 Our social media calendar templates include blank calendar, thematic social calendar, and activity-based calendar templates. Keeping your posts organized. 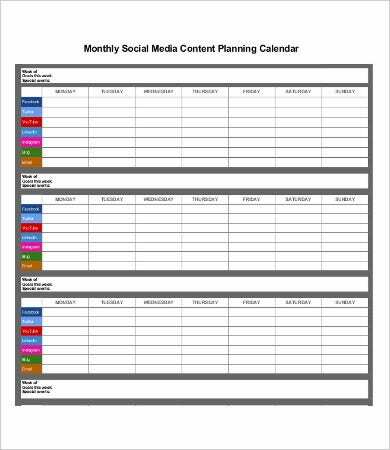 Having a social media calendar hashes out chaos by scheduling your posts consistently. It sends different messages across platforms. 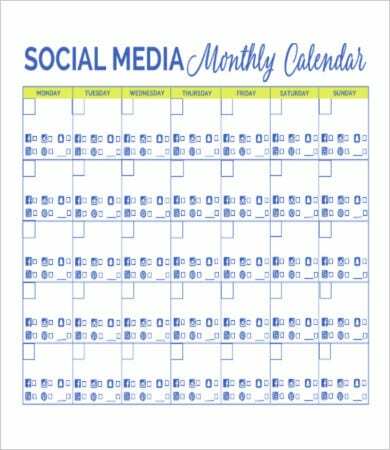 Our calendar templates helps you plan across social media platforms so you can avoid spamming messages by sharing the same posts on those platforms you own. 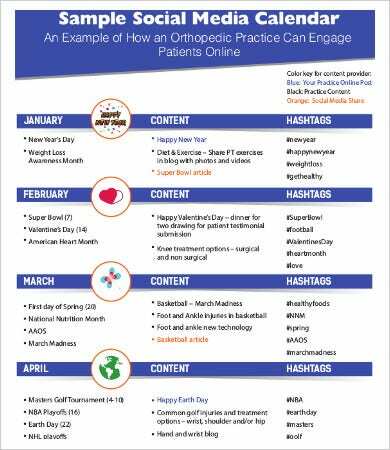 You can spot and publish special posts in observation of special holidays. Special holidays call for special promo posts and greetings that can excite or make your audience grateful. You can check out published and pending items and plan ahead for future posts. You can analyze which content performed better and do adjustments in the future. Social calendars improve productivity. 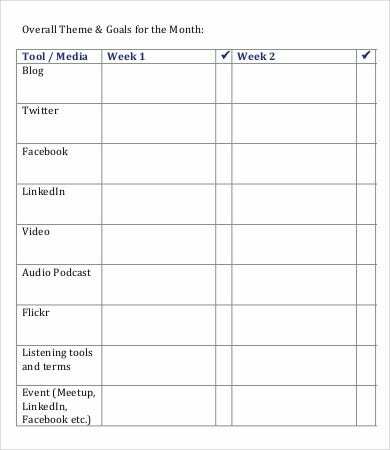 You can plan out your social media strategy effectively and at a shorter period, which makes it a handy tool for social media marketers. Lack of strategy. Lack of strategy results in poor engagement and depicts you brand as something that lacks direction and focus. Using unpopular hashtags. Just because it’s a hashtag doesn’t mean it’s trending or picking up followers. Research hashtags and use ones are likely to attract more audience. Opening accounts on most social media platforms. Not all platforms work for every business, so it’s important to find your online niche. Ignoring the holidays. Be sensitive of what your audience are celebrating by placing special holiday posts. Inconsistent schedule. 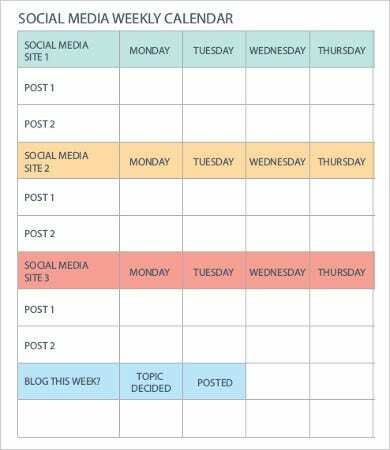 Your daily postings should follow a consistent schedule in order to build that relationship with your audience. Failing to address online feedback. You need to be responsive to your audience for inquiries because for all you know, they might be potential leads. 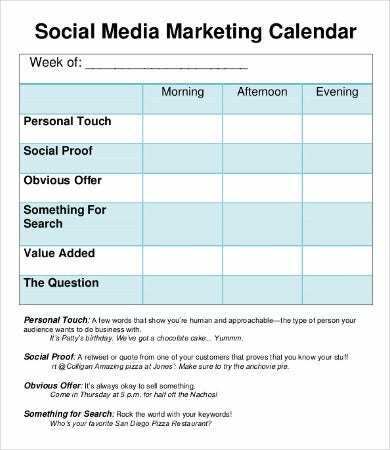 You can also use our social media calendar templates as a menu calendar for your food business’s social media platforms. Check out more posts and view other templates that you need from our website.